Highly Recommend received. very fast. received. very fast. will buy again when needed. Highly Recommend Seller whatsapp to confirm the ticket and issue immediately. very fast. Seller whatsapp to confirm the ticket and issue immediately. very fast. Fast delivery. Yet to use the E-ticket. Cheaper than any rates if apply coupon. Seller reply promptly q10 customer services is fast when i enquire too. Surprised by prompt ness in their updated records based on order number. Hi seller, can i have the tickets now? I have placed order...thanks! Hi, i don’t understand why it is still pending payment as i have already paid successfully. Pls kindly assist. Thanks! 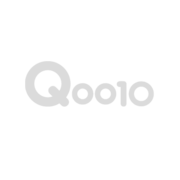 You need contact qoo10 service ,(65-6500-4440).But On weenkend they are rest,so confirmed solwly. This tickets cannot be used by singaporeans? I saw in the terms and conditions. can be used.Please exchange for physical tickets at the ticketing counter available at the entrance. Hi, may I know the validity of the ticket is till when? Hello, our validity period is usually one to three months. The specific validity period will be written on the e-ticket., and you can choose one day to go within the valid time.Usually,we will send you the tickets via email within 24 hours after the payment.thx! Please check the date of validity printed on your tickets.Thx! because it is really expensive. Hi, possible to get e-ticket now as planning to go this afternoon? We will send you the ticket via email within 15-20mins after the qoo10 confirm the payment.